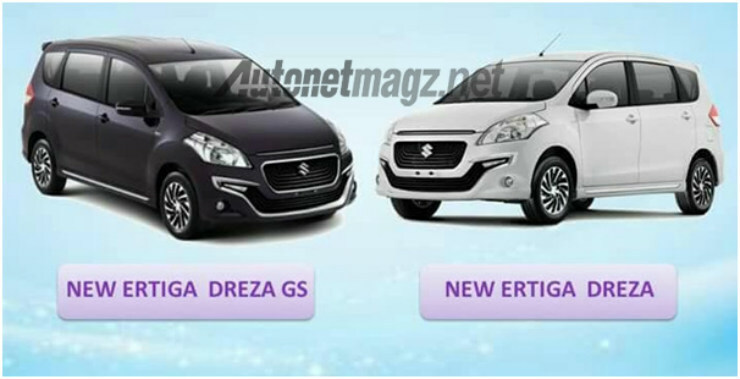 Maruti Suzuki’s effort to add some premium value to its brand (with products like Baleno and S-Cross) and separate dealerships is quite evident. 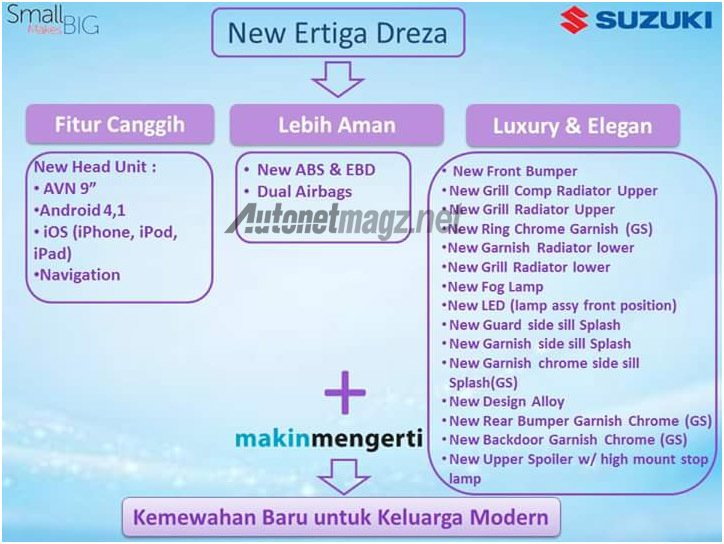 Of course neither NEXA nor the brand survive with a handful of premium products. 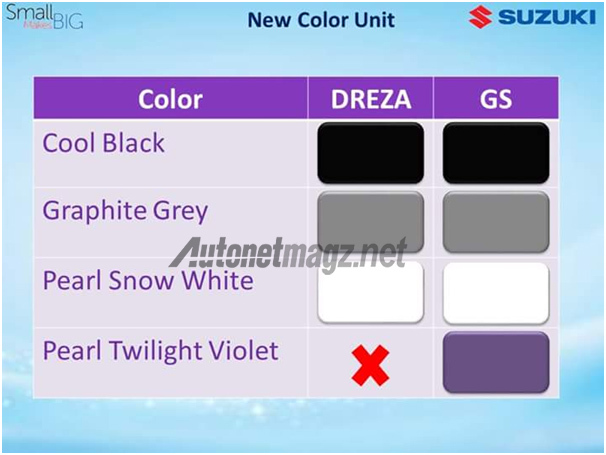 And while the upcoming compact SUV (likely to be called Vitara Brezza) and new Vitara could be welcome additions, it remains to be seen if a premium version of a product sold at brick and mortar MSIL dealerships can be offered via NEXA. And that’s where the Suzuki Ertiga Dreza could fit in. 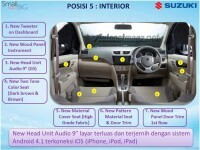 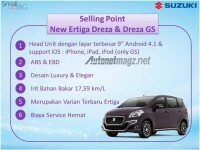 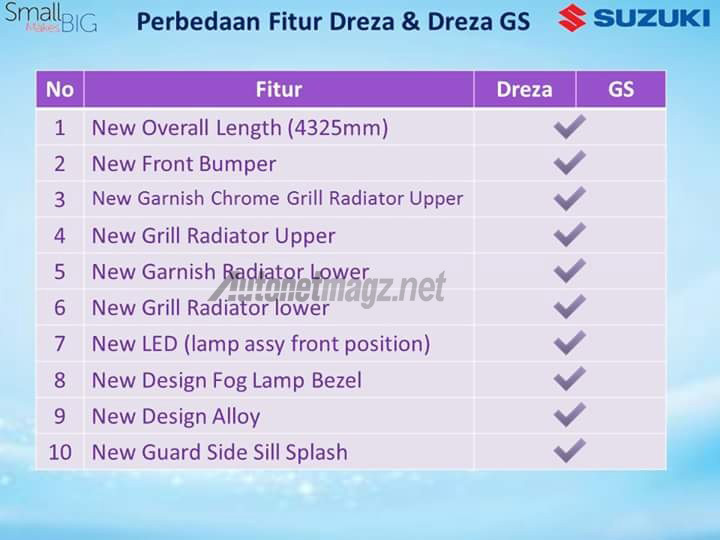 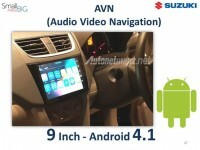 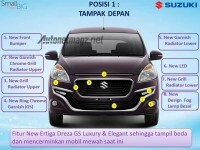 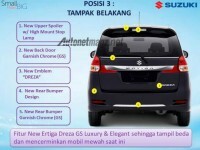 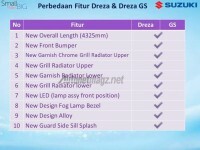 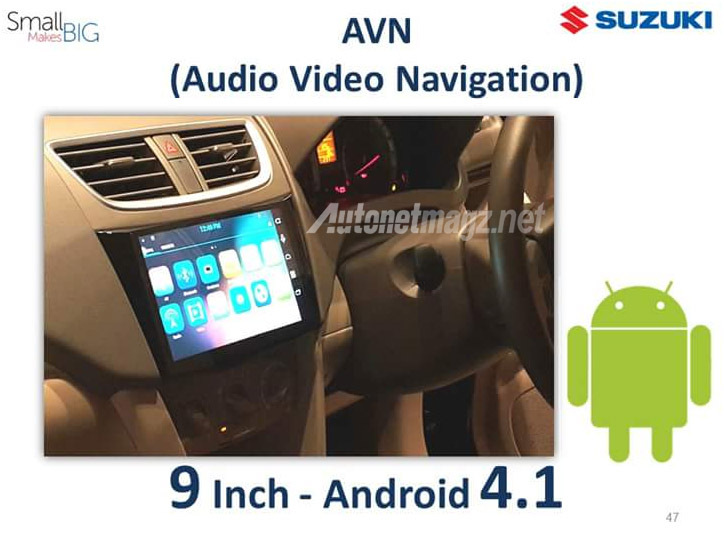 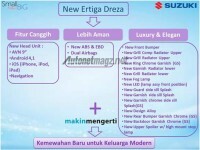 Leaked online and published by Autonetmagz.net, the images of the upcoming Suzuki Ertiga Dreza show an updated styling and a slightly better equipped interior over the regular Ertiga. 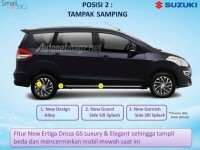 The vehicle is destined to go on sale in Indonesia but can make an appearance at the 2016 Auto Expo in India, as reported by IAB. 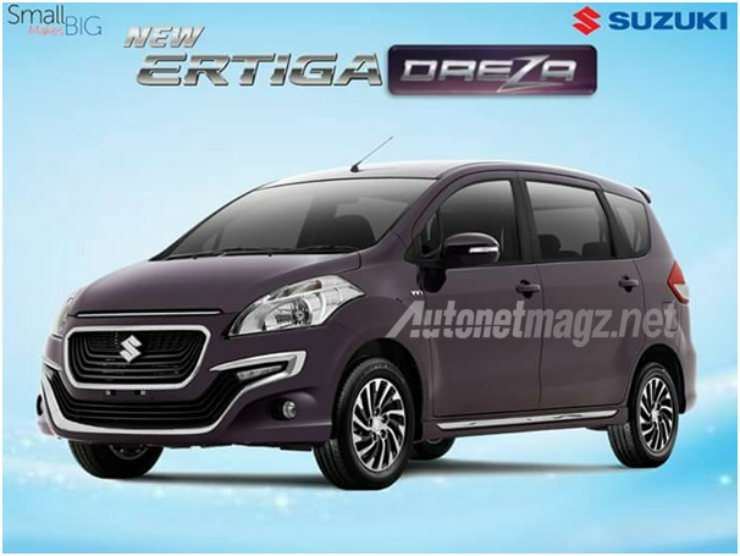 As far as changes go, the front-end of the Ertiga Dreza gets new grille, bumper, repositioned LED DRLs, and a lot of chrome. 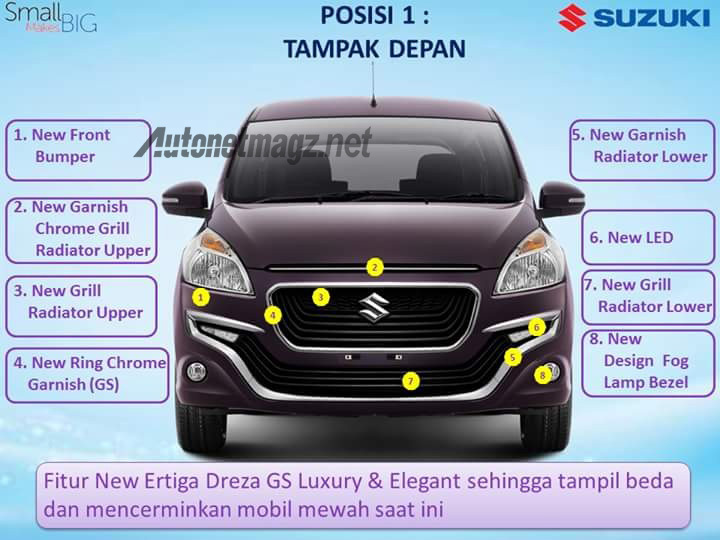 The headlamps and taillamps continue to be similar to the current units, while at the rear there’s an increased use of chrome, too. 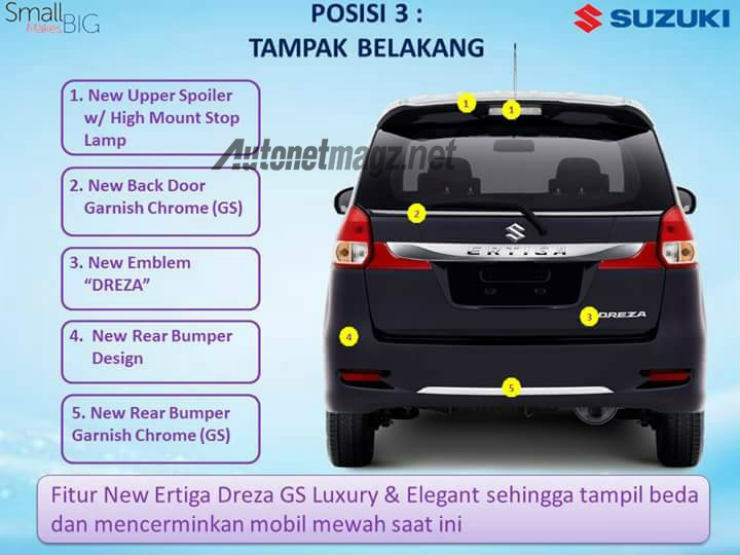 The sides aren’t untouched either, as new-look alloy wheels and a side-step (with a chrome-strip, of course) have been added. 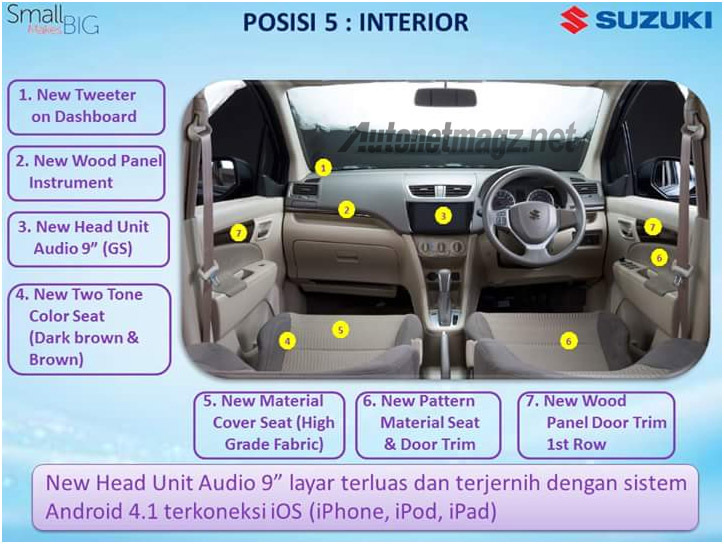 Mechanically unchanged but the interior gets a new touchscreen infotainment unit, a two-tone theme for upholstery and dashboard, wood panel for instrument cluster and door trim, etc. It will be available in two variants: the regular Dreza and the slightly more chrome-heavy Dreza GS.